Turboprop engines trace their roots back to the Hungarian Jendrassik CS-1 which first ran in 1938 but never flew on an aircraft. It would be another seven years before the world’s first turboprop-powered aircraft – a Gloster Meteor F-1 – flew with a Rolls-Royce RB-50 Trent attached in September 1945. The Vickers Viscount (1948) became the world’s first production turboprop aircraft, powered by the RR RB-53 Dart. Meanwhile, the world’s oldest ‘still flying’ turboprop aircraft is a 1953 Fairey Gannet powered by an Armstrong Siddeley Double Mamba ASMD 1 engine (two engines bolted to the same gearbox) driving two separate props concentrically mounted on the same thrust line. We're heading into Day 4 of @EAA's #OSH18! Make sure you come say hi to the Covington Crew in the Main Aircraft Display at booth 261 288 and talk all things #PT6A, #R985, and #R1340. It was in 1956 that the Canadian Pratt & Whitney Aircraft Company (later renamed Pratt & Whitney Canada (PWC)) proactively initiated the design and build of a new engine which would eventually become the world’s best-selling aircraft turboprop powerplant. 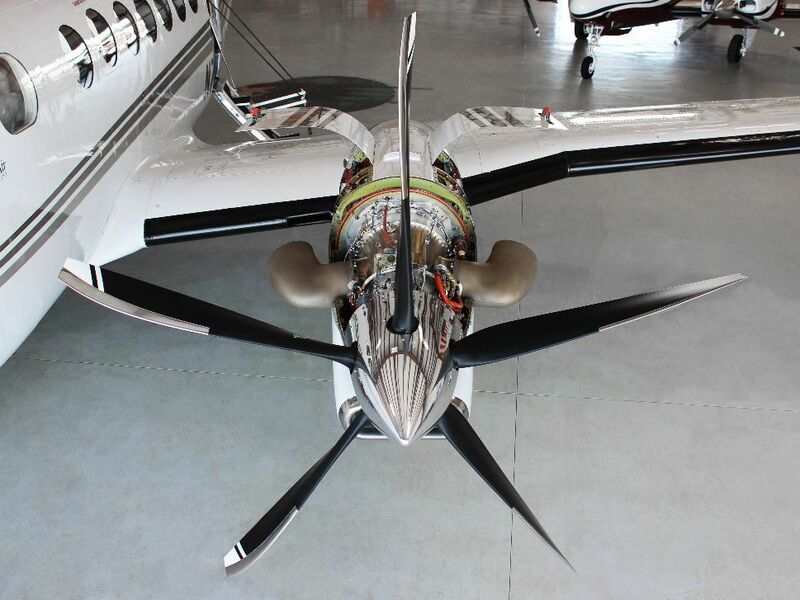 The design mandate for the PT6A was to create a compact, lightweight, modular engine that could produce 500shp, and be serviced as much as possible ‘on-wing’ without removal. The PWC team collaborated on a double-shaft, reverse flow, free-turbine design which produced more power than a fixed shaft engine, was quieter and virtually eliminated foreign object damage (FOD). The initial target market for the PT6 engine was the piston-powered DHC-2 de Havilland Beaver. The power-to-weight ratio of a turbine engine versus a piston engine (the PT6 (325lbs) was less than half the dry weight of the current Wasp radial (653lbs), while producing 50hp more). While we exclude specifics on military, helicopter or agricultural applications of the PT6A Series engine (our focus is exclusively fixed-wing Business Aviation applications), Business Aviation applications closely equal the other sectors mentioned approximately 50/50. Specifically, in Business Aviation over 20,000 PT6A series engines have been installed in 54 different makes/models of business aircraft with the Beech King Air series the most prolific platform (10,774+ engines and counting), followed by the Cessna Caravan series (2,573+). The out-of-production Piper Cheyenne comes in third with 1,954 engines.